New York State Attorney General Eric T. Schneiderman has issued an order directing daily fantasy sports (DFS) market leaders DraftKings and FanDuel to cease offering their services to New York residents. Schneiderman, who previously announced that he was conducting an investigation into DFS offerings, declared them to be illegal gambling operations under New York State law. 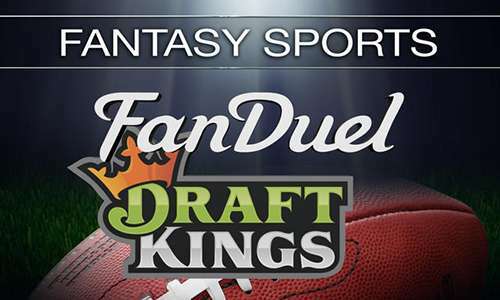 “It is clear that DraftKings and FanDuel are the leaders of a massive, multibillion-dollar scheme intended to evade the law and fleece sports fans across the country,” wrote Schneiderman. “Today we have sent a clear message: not in New York, and not on my watch.” The move threatens the long-term viability of DFS within the United States, particularly in the case of DraftKings and Fan Duel, the twin market leaders who in recent months secured large infusions of investment capital in the hopes of growing their market. Instead, following allegations of unethical use of aggregated user data by company insiders, the two companies have faced heavy scrutiny from authorities at both the US state and federal level. 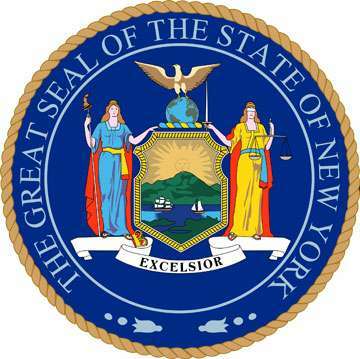 The declaration from Schneiderman threatens the removal from the industry of the US’s second most populous state; New Yorkers are estimated to provide 10% of all revenue generated by most DFS sites. Both companies are expected to launch a full-out legal effort to preserve the ability of New York residents to play on their respective sites. However, New York’s gambling statutes are very liberal im describing what constitutes gambling, requiring that an activity have only an “element of chance” regardless of the skill level involved. That existing code will make the DFS sites’ pending legal battle significantly more difficult. As an example, a well-publicized poker case from the state went against the game’s operators despite an early ruling that poker was a game of skill; under New York law, as long as some chance was involved, the skill element didn’t matter. New York, at least temporarily, becomes the seventh US state where DFS is considered illegal gambling activity under state law. “We are very disappointed that New York Attorney General Eric Schneiderman took such hasty action today, particularly since he did not take any time to understand our business or why daily fantasy sports are clearly a game of skill. We strongly disagree with the reasoning in his opinion and will examine and vigorously pursue all legal options available to ensure our over half a million customers in New York State can continue to play the fantasy sports games they love. “We continue to see a number of other officials, including Senator Negron in Florida, Representative Zalewski in Illinois and the Federal Trade Commission, take a reasoned, informed and measured approach to the daily fantasy sports business. We hope this trend continues along with due consideration for over 56 million sports fans across the country who enjoy playing fantasy sports. We remain committed to working with all relevant authorities to ensure that our industry operates in a manner that is transparent and fair for all consumers. New York AG’s Schneiderman had been publicly negative toward the two DFS market leaders and the industry as a whole since announcing the probe a little over a month ago. In that respect, yesterday’s order was unsurprising. Various reports citing the recent exit of DFS sites from Nevada following a similar notice from that state’s attorney general imply that a similar outcome is likely in New York and elsewhere. However, Nevada clearly has a regulatory structure in place offering interactive gaming licenses, whereas New York does not, and all such activity in New York and most other states is currently unregulated. Nonetheless, the pending legal battleground facing DFS sites throughout much of the US promises to be complex and difficult to traverse.